When it comes to food, Cleveland Oktoberfest has something for everyone. Seeking authentic ethnic cuisine? We have Schmidt’s of Columbus, Seven Roses, Das Schnitzel Haus, Schnitzel’s & Giggles, Heini’s Cheese, Transylvania Bakery Shop, Frank’s Bratwurst, Balaton (Scene’s Best Hungarian Restaurant), and Oktoberfest’s own food concessions. For kids, we also have a variety of festival staples—from pizza, to french fries, corn dogs, gyros, frozen custard and funnel cakes. In business since 1886 and located in the heart of Columbus, Ohio’s historic German Village, Schmidt’s Restaurant and Sausage Haus is one of the finest German restaurants in the United States. If you haven’t had one of their brats, you haven’t experienced what makes Oktoberfest Oktoberfest (besides beer, of course). Located in the heart of Slavic Village on Fleet Avenue, Seven Roses (Siedem Róź) is a bright light in an area long known for fine ethnic cuisine. Fortunately, this Polish delicatessen is not only surviving, but flourishing, thanks in large part to a combination of exceptional food and a wonderful atmosphere. The building is classic Cleveland–a stunning interior, high molded ceilings, 15′ library shelves with sliding ladders, etc. And like many such architectural gems, were it not in Slavic Village, it could have been left to decay and blight. Fortunately, Seven Roses took over the building, polished the place up, packed the shelves with ethnic goods and spices, set up a deli overflowing with exotic meats and delicacies, created a cozy seating area, and suddenly you’re worried about lines at lunchtime. It just goes to show that exceptional results come from delivering exceptional products. And we couldn’t be more thrilled to have Seven Roses share those products with us Labor Day Weekend! The Cleveland Oktoberfest is excited to announce the opening of a new food venue… the Sausage Autobahn! Located just across from the Glockenspiel, and housed in an air-conditioned building, the Sausage Autobahn will feature some of the Bavaria’s finest sausages, all from Five Star Brand Meats. Voted the top Hungarian restaurant in the greater Cleveland area by Scene Magazine, Balaton is most famous for its superb Wiener and Chicken Schnitzels. Other fine offerings include: Stuffed Cabbages, Langos, Goulashes, and the Hungarian Lecso (a yellow paprika and tomato based summer stew), and of course Chicken Paprikash. TOP RATINGS awarded by both reader choice polls as well as many accredited food writers/publications, including: Cleveland Magazine, Northern Ohio Live Magazine, Ohio Magazine, Bon Appetit, The Cleveland Plain Dealer, Scene, Free Times, Connections, Shaker Magazine and more! 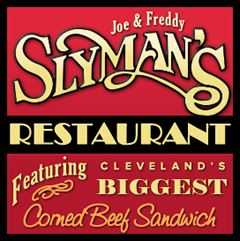 Slyman’s Tavern is the continuation of a wonderful Cleveland legacy, The Original Slyman’s located in downtown Cleveland. The name Slyman’s has been a Cleveland staple, a part of our community, respected, and loved by anyone who has ever been there for 50+ years. The Slyman’s truck is the only truck serving corned beef and Reuben sandwiches in the Greater Cleveland area. Fans of the Slyman’s staples will be able to enjoy smaller, lighter versions of the ordinarily gigantic sammies that put Slyman’s on the map, with options like lunch boxes that come with a choice of sides like coleslaw, potato salad and pasta salad. A deep fryer cranks out the french fries. Oktoberfest will have its own stand offering a variety of favorite German dishes. John Roberto, owner of Roberto’s Restaurant, will be preparing a host of items to keep Oktoberfesters’ mouths watering. Located in Cleveland’s historic West Side Market, Frank’s Bratwurst was established in 1970. They have since garnered a reputation for serving some of the best brats in the Cleveland area. Their brats are so good, in fact, that Scene Magazine voted them the Best Brats in the Cleveland area. Schnitzels & Giggles German Food Concessions launched July 2010 at Fairs and Festivals in the New England Area. Today we have expanded our Route up and down the East Coast from New Hampshire to Florida. Chef Graf is the Mastermind behind the German Inspired Cuisine. He provides his Swiss Heritage specialties like Sauerbraten with Roth Kohl as well as Austro/German favorites in a fun way with a Schnitzel on a Stick. Being a former Restaurant owner his talent is in making his own recipe of Traditional Bratwurst. Folks who have experienced these House Made Brats say they are amazing! Our mission is to provide you with a “Taste Trip to Germany” without leaving the USA with our Comfort Food served up in a fun and satisfying way. Schnitzels & Giggles Concessions offers up a fun way to eat German Food on the go just like the fun stands in Germany called Imbiss that you find on a corner of many a German City, small town or village. This Concessionaire takes traditional German Cuisine and puts a fun spin on it, and incorporates the flavors of Switzerland and Austria plus they also offers other fare including: Breakfast wraps at early morning Air and Balloon shows, Potato Pancakes with Country Gravy (also known as Rösti or Latkes), Waffle on A Stick and assorted beverage choices depending upon the venue. Schnitzels & Giggles is the perfect place to grab a bite on your walk around at a fair or festival while enjoying the event you are visiting. Until then we say Auf Wiedersehen! Jumbo Bratwurst – Our 9 Inch Bratwurst (German Sausage) on a Roll. Kraut Brat – Jumbo Bratwurst on a Roll topped with Chef’s Special Sauerkraut. Pepper Brat – Jumbo Bratwurst on a Roll topped with Onions & Peppers. Schnitzel on a Stick – Flattened, lightly hand-breaded Pork or Chicken Schnitzel on a Stick. Schnitzel Dinner – Breaded Chicken or Pork Cutlet served with Red Cabbage, a Roll and Fries. Schnitzel Sandwich – Breaded Chicken or Pork Cutlet (Schnitzel) served on a Roll. Optional toppings: Red Cabbage, Sauerkraut or Jäger Gravy. 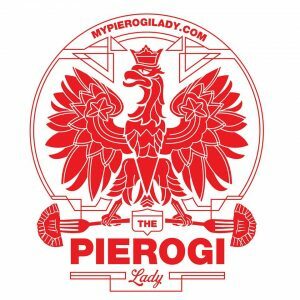 One of the reasons I started The Pierogi Lady was because I just could not find good frozen pierogi. I would make mine from family recipes for my friends, and they encouraged me to start my business so I could share them with everyone. Growing up in a small town, Sundays meant a day spent at Grams sharing good food with family – which always included a helping of her pierogi. I’ve carried on this tradition of making the perfect pierogi, using her recipes for you and your family to enjoy. Our pierogi are all handmade, just like Grams, and we’re always trying different fillings. The more we experiment, the more we realize the possibilities are endless. So be adventurous and search for your favorite. I know you are going to love our pierogi! Ohio Sustainable Foods raise everything from Buffalo to Elk, and even Scallops. Old World Foods was founded in 1994 with just a single frying pan and hand grinder to create our delicious potato pancakes. The world kept asking for more and more of these treats so we moved the operation to a factory in the Slavic Village area of Cleveland Ohio. Over the years, Old World Foods has perfected and added additional products, including pierogi and drop dumplings. In 2013 we decided to include additional family members to assist the growth of the company. We continue the successful branding of our existing product line and the launch of the additional product lines, assuring that Old World Foods will continue to exceed customer expectations for years to come. Das Schnitzel Haus is an intimate family restaurant located in Parma. Das Schnitzel Haus offers European-inspired New American cuisine featuring the finest seasonal ingredients. Authentic German food right in your neighborhood! Homemade Schnitzels, Goulash, Potato Pancakes, Bratwurst, Sauerbraten, Spetzel, Ribs, Pierogies, Duck and much, much, more! 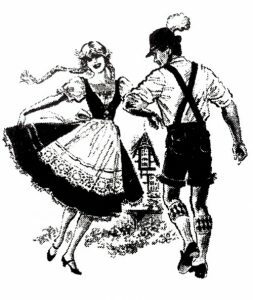 When in Cleveland Ohio if you want the very best in authentic German Food, drop by our Parma Ohio restaurant for a visit. Das Schnitzel Haus was opened by the Djurin family, long-time residents of Parma, Ohio. The restaurant and outdoor, heated Beer Garden (biergarten) offers customers German food and drinks, combined with exceptional friendly service from our experienced staff in a cozy, warm atmosphere. Visit our German restaurant in Parma Ohio for a relaxing and enjoyable dining experience. F or over 30 years, Sue’s Pierogis has been dishing out some of the finest Polish cuisine in the Cleveland area. We’re excited to have Sue running our Sausage Autobahn. A lois Maierhofer is Concept and Development Chef for Giant Eagle which is headquartered in Pittsburgh, Pennsylvania. He recognized at a very young age his passion for cooking alongside his mother in Austria. Alois watched his mother carefully and memorized her culinary skills as she prepared the family meals. His father was a butcher which has many times proven to be an invaluable experience in the culinary world knowing how to cut, slice and chop meat properly. Named to this position in 2010 his diverse culinary background and innovative thinking was a perfect synchronization with Giant Eagle’s contemporary vision of prepared foods and “kitchens to go” concept. He is responsible for cultivating new concepts and showcasing his menu ideas to all 175 Giant Eagle store locations nationally. The concept development portion of his position brings his skillful application of food analysis and processes along with ensuring food quality before it goes to market where the consumer’s expectations are to be exceeded with a profitable outcome for Giant Eagle Corporation. Alois is a highly accomplished culinary in all facets of professional cooking and management, menu development, P&L management, kitchen design and equipment specification. Prior to joining Giant Eagle, he has served the culinary industry in numerous capacities. Alois worked in Germany with the Kempinski Hotels in Hamburg and Frankfurt as their Executive Chef and from there his dream became authentic when Celebrity Cruise Lines appointed him as a Sous Chef working under the supervision of Michelin 3-Starred Celebrity Chef Michael Roux. Celebrity Cruises Line later promoted him to their Executive Chef. He found romance on the ocean liner and married his lovely wife of twenty years Kara. This brought another change in his career path with launching a new business as the owner and proprietor of Mozart’s Restaurant with a menu focused on European and Mediterranean cuisine. Alois always looking for opportunities to share his passion for food hosted a cooking show on the Food Network called “Symphony of Taste – Let’s Eat” where he showcased a wide compilation of dining styles embracing European and American cuisine. He was born and raised in Vorav, STMK, Austria which is between Graz and Vienna, west of Hungary. He graduated from Culinary Arts School in Bad Gleichenberg, Austria and obtained a Hotel and Restaurant Management degree while in Germany. He resides in Canton, Ohio with his wife Kara and their three children. During Prohibition, it was a speakeasy, one of the few well documented in Columbus. The windows were shuttered and the patrons said they were playing cards. The gentlemen who brought the bootleg would always say, “Hey! Hey! The Beer is Here!” and they became known as the Hey Hey Boys. The name stuck. 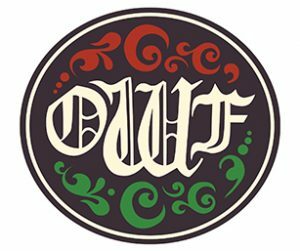 They travel and do festivals – The Dublin Irish Festival, The Columbus Oktoberfest, The Dayton Oktoberfest, The Cincinnati Oktoberfest, The Circleville Pumpkin Festival, and sometimes more! They usually sell Potato Pancakes, their famous Sauerkraut Balls, Cabbage and Noodles, Chicken and Noodles, and Limburger Cheese Sandwiches! The Hey Hey is open 7 days a week from 3 p.m.-2:30 a.m.
Oktoberfest will also feature outside vendors selling niche traditional foods as well as non-traditional foods. On the traditional side, you’ll find Helmut’s Strudel and German baked goods from Michael’s Bakery. On the non-traditional side, you’ll find Honey Gourmet Frozen Custard and Maple Side Farms’ farmer’s market featuring fresh fruit and veggies. See below for a full list. If all that wonderful food makes you thirsty, we can take care of that. Event Co-Sponsors Paulaner and Hacker-Pschorr will be offering a variety of different flavors of beer, and for the teetotallers / designated drivers among you, we also have gourmet coffee, fresh cider, lemonade, soda and other beverages. See detailed list below.